Nearly 100 adjunct faculty, student activists, community allies, and members of the broader SEIU family in Florida Public Services Union, Local 1199, and the Fight for $15 and a Union came together last weekend to deepen their skills, forge new relationships, and recommit to building a powerful higher education movement during a leadership weekend in Miami. The gathering comes on the heels of adjuncts at seven schools filing for union elections in December. On Saturday morning, SEIU-FPSU President Alphonso Mayfield kicked off the two-day event, welcoming the newest members of the local into FPSU. For the rest of the day, participants developed their own stories of self, us and now as part of a workshop on public narrative as a leadership practice. Sate Rep. Shevrin Jones, a higher education champion, and Monica Russo, president of SEIU Florida State Council, joined over dinner to express their solidarity with the group. Participants courageously shared their public narratives the next day and linked the painfulness of challenges like homelessness, hunger and loss with the hopefulness of being part of a movement to transform our country. Allies and experts from within and outside Florida later spoke on bargaining for the common good, the crisis facing higher education, what faculty and students are doing to turn things around, and building a broader movement to transform our communities in addition to our campuses. “Leaving here today, we need to have the courage to go out and tell our stories to strengthen our movement for college-for-all, $15/hour and union rights and student debt relief,” said Valencia adjunct Ryan Rilea at the close, challenging everyone to use their new skills to strengthen the campaign. 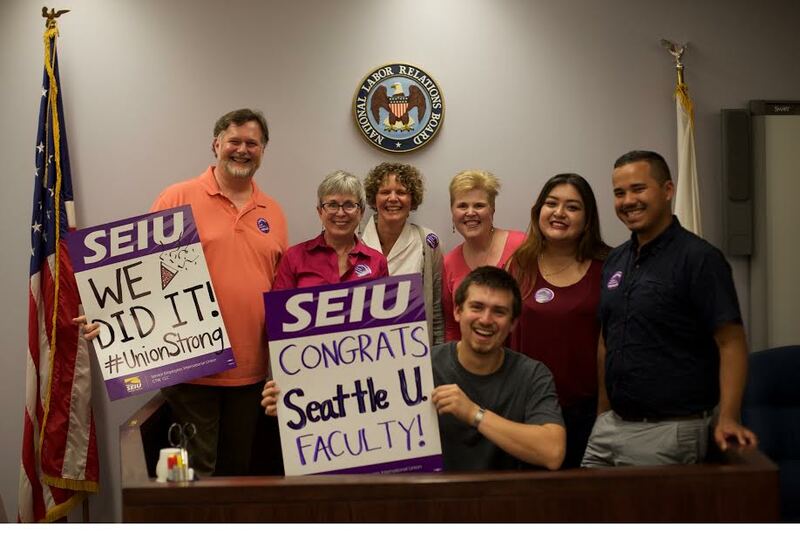 Adjunct professors, students and other workers left the weekend fired up for the next phase of the movement and signed commitment cards pledging to talk with colleagues, join committees, and speak out publicly to drive toward winning elections at MDC and around the state. You can see the last portion of the training, a symposium on challenges in higher education, here.